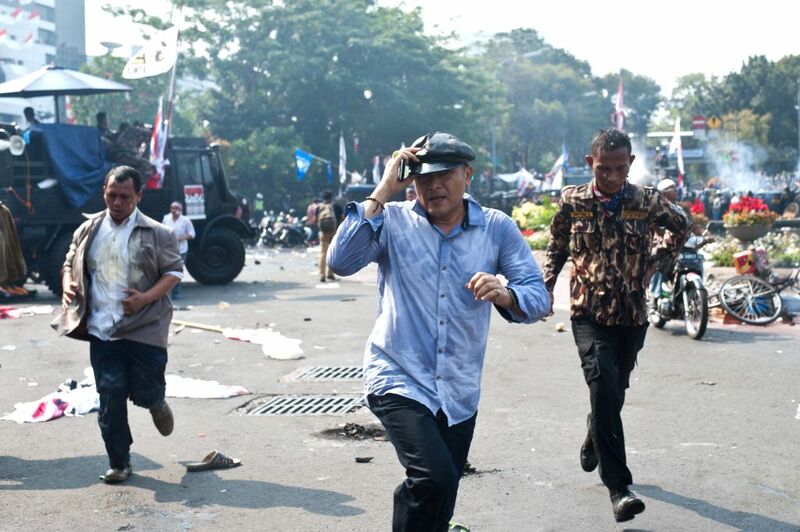 JAKARTA, Aug. 21, 2014 - A supporter of losing presidential candidate Prabowo Subianto tries to kick riot police during a rally near the constitutional court in Jakarta, Indonesia, Aug. 21, 2014. 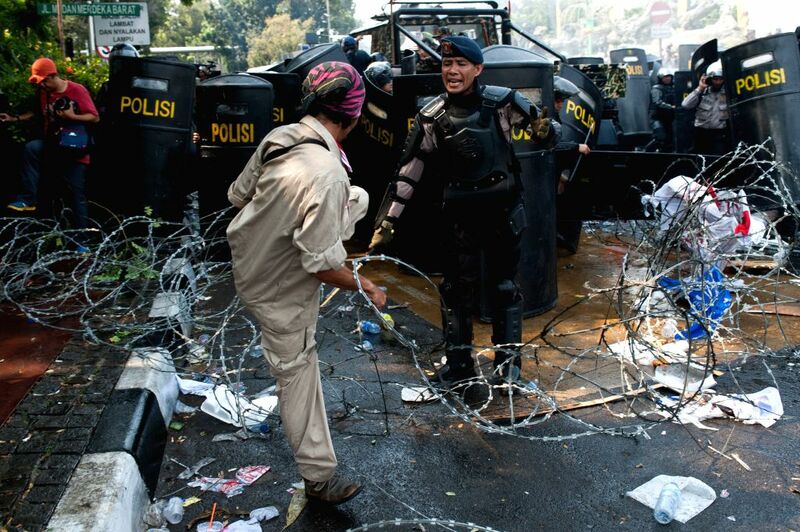 Indonesian police and supporters of the defeated presidential candidate, former general Prabowo Subianto, on Thursday got involved in clashes near the country's Constitutional Court, several people injured. 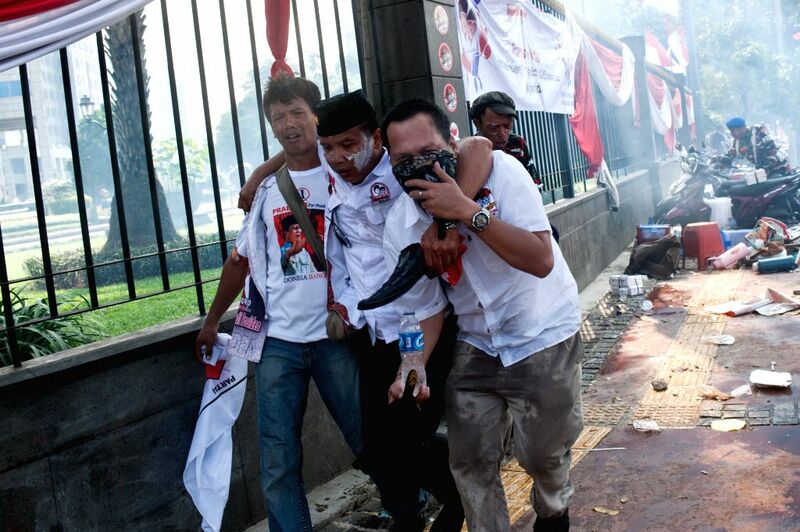 Supporters of losing presidential candidate Prabowo Subianto run to avoid tear gas fired by riot police during a rally near the constitutional court in Jakarta, Indonesia, Aug. 21, 2014. Supporters of losing presidential candidate Prabowo Subianto run to avoid tear gas fired by riot police during a rally near the constitutional court in Jakarta, Indonesia, Aug. 21, 2014. Indonesian police and supporters of the defeated presidential candidate, former general Prabowo Subianto, on Thursday got involved in clashes near the country's Constitutional Court, with several people injured. 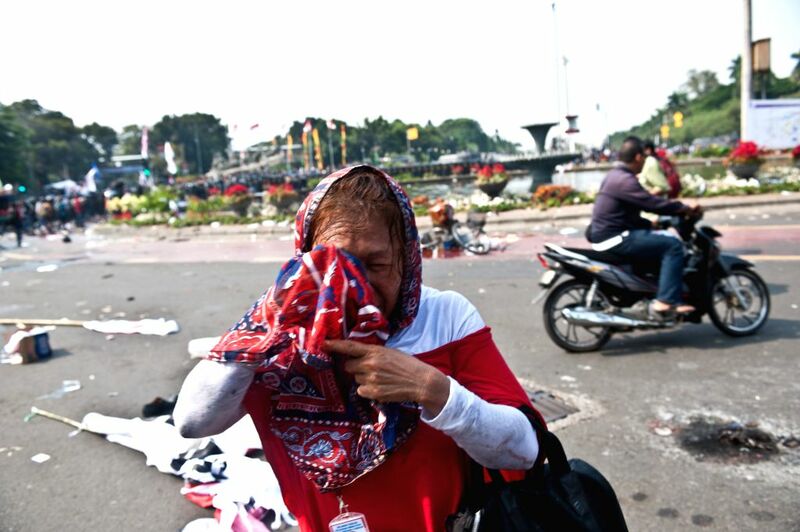 A supporter of losing presidential candidate Prabowo Subianto clears eyes after riot police fired tear gas during a rally near the constitutional court in Jakarta, Indonesia, Aug. 21, 2014. 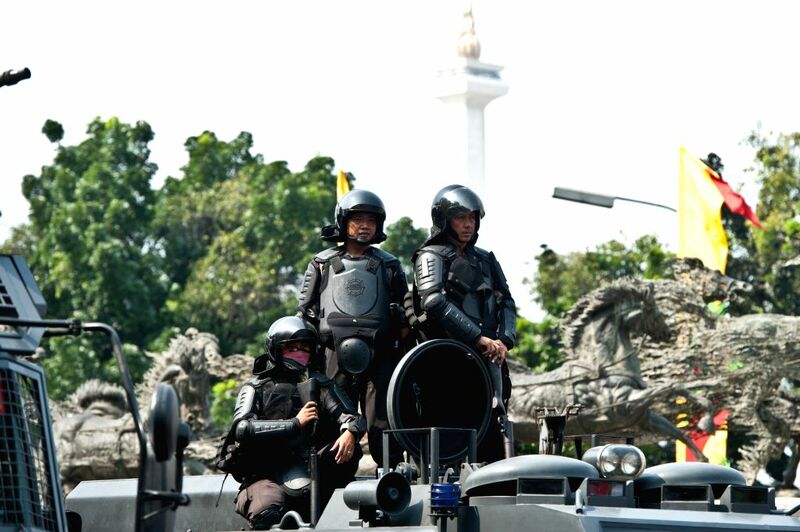 Indonesian riot police are seen during a rally near the constitutional court in Jakarta, Indonesia, Aug. 21, 2014.